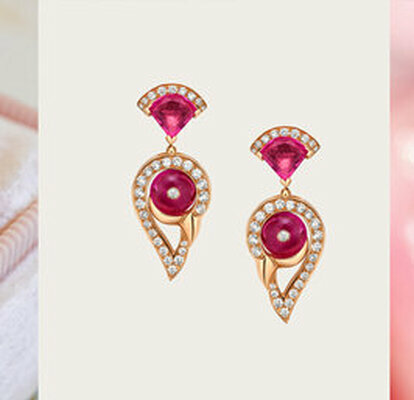 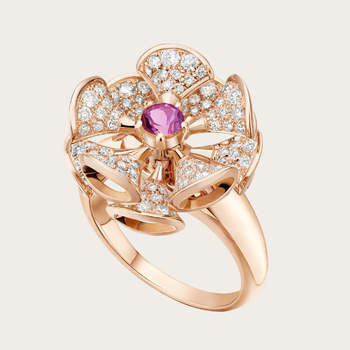 Rose is one of the most feminine colours; stylish, sophisticated, and highly charming. 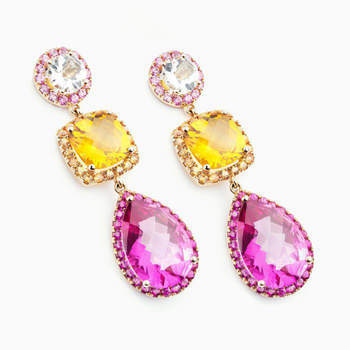 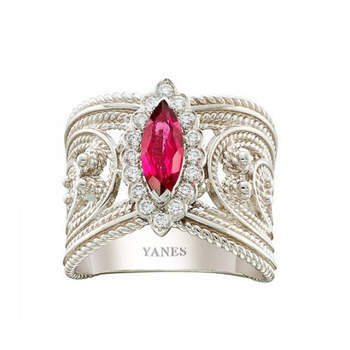 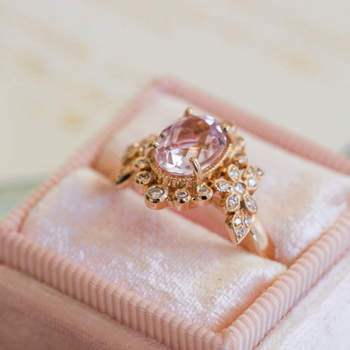 This colour is slowly taking over the wedding world, where it has been included in some designers’ dress collections and, more recently, has become a primary feature of bridal jewellery. 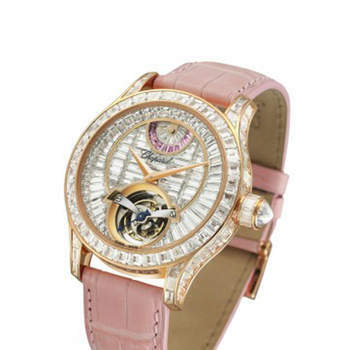 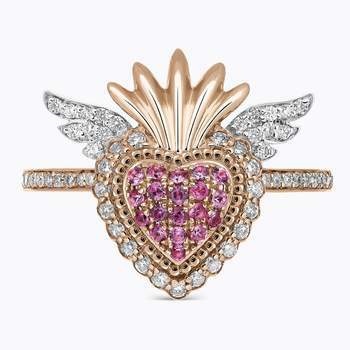 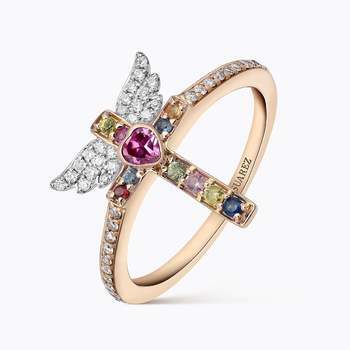 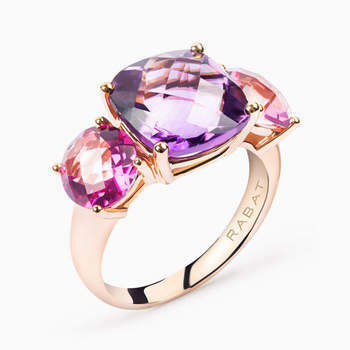 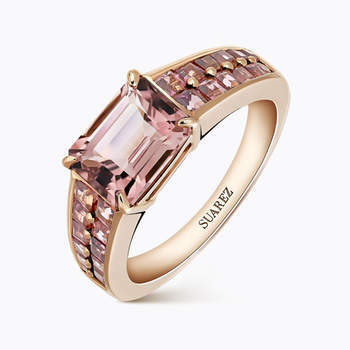 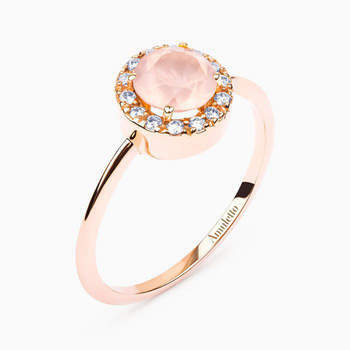 The gems and jewels displaying this colour are amongst the most attractive: rose quartz, amethyst, rubelite, tourmaline…all of these precious stones are currently in high-demand due to the growing popularity of rose gold. 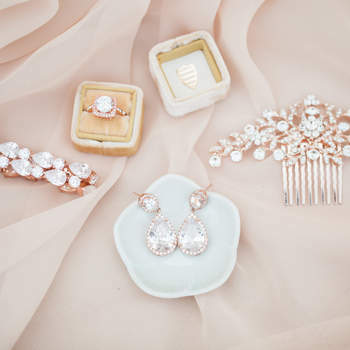 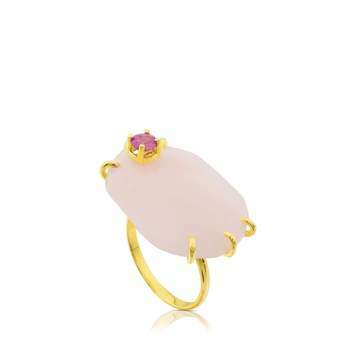 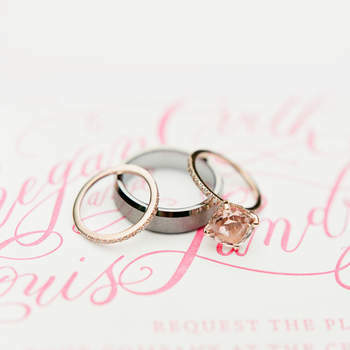 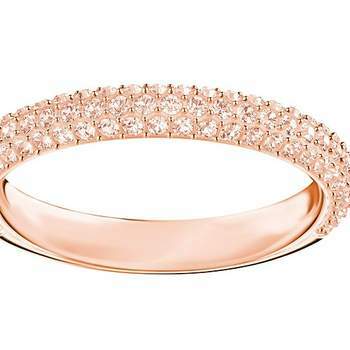 Discover in this gallery a variety of rose-coloured jewellery for the boldest brides. 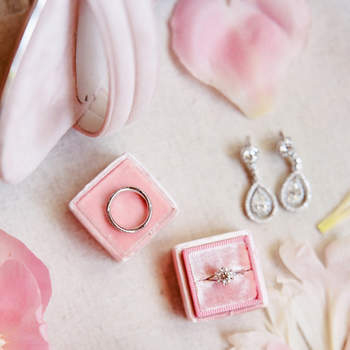 When it comes to wedding jewellery, it is best to act with restraint – the most exclusive bridal looks usually show off a small amount of very well-chosen pieces, and this is the approach we recommend. 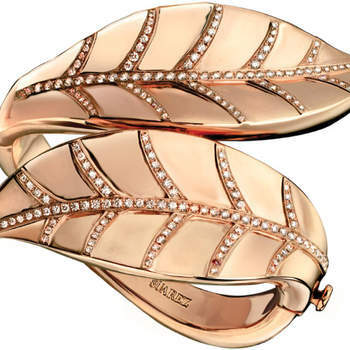 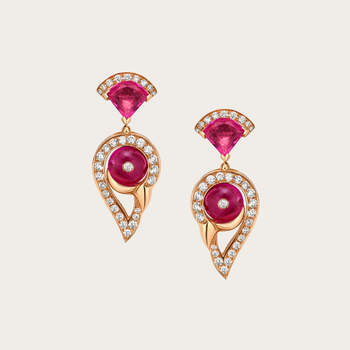 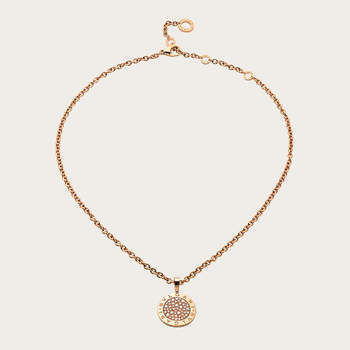 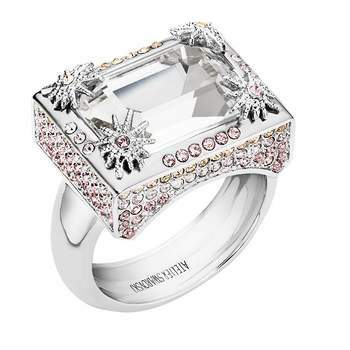 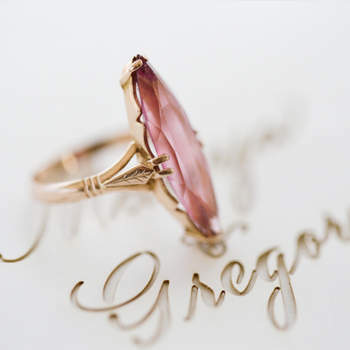 Indeed, the trend nowadays is to choose fine, minimalist jewellery which serves to emphasise the elegance of the bride. 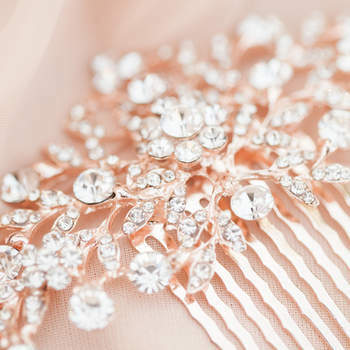 If the dress or accessories in question also feature any kind of colour, choosing the piece that will combine them becomes even more important. 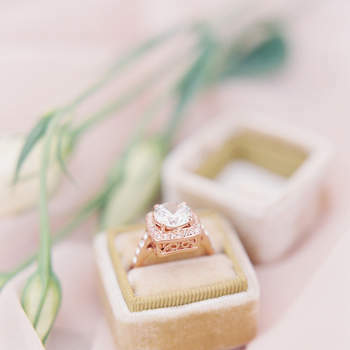 In any case, if you have chosen a more simple style of wedding dress, accessories and jewellery will provide the original touch that you are looking for. 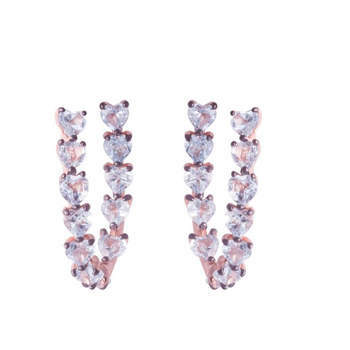 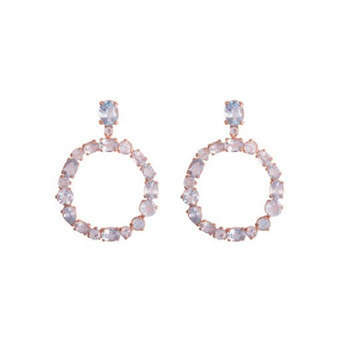 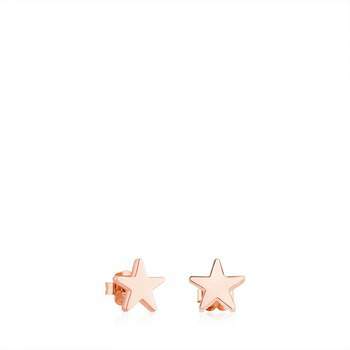 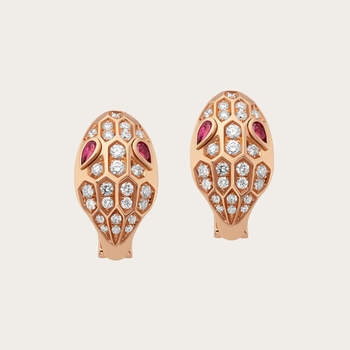 Earrings are always a good ally to break with the monotony of an all-white outfit, and if you add a hint of rose gold, then you’re sure to shine! 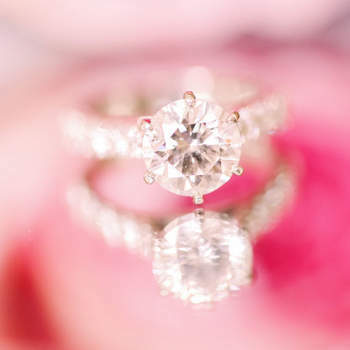 Check out our gallery, and take note of the designers that you think will make you feel the most sophisticated on your big day!